Veteran’s Day is coming up quick on November 11th and both teachers and parents will be on the look out for some Veteran’s Day Kids Craft Ideas. 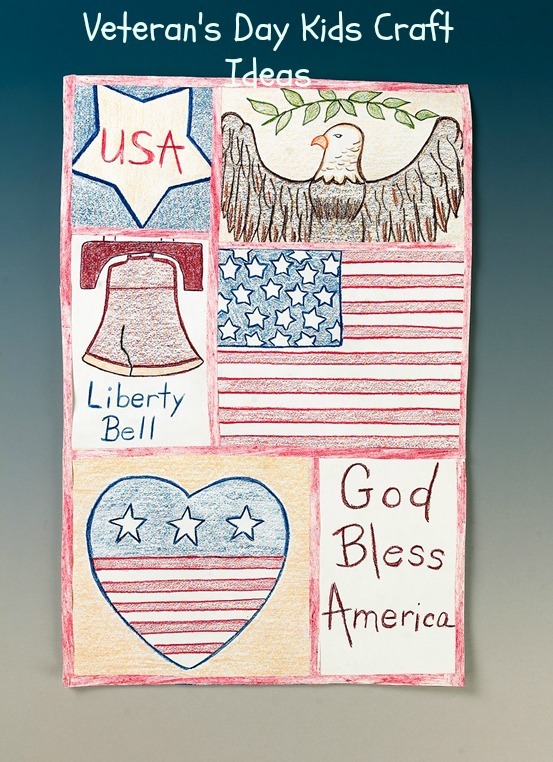 Here’s one from Crayola called the Patriotic Quilt. 1.Collect pictures and information about symbols of your country. For the United States, for example, you might find a bald eagle, flag, Liberty Bell, presidential seal, and photographs of leaders. Choose several designs for your quilt. Read the rest of the instructions and ideas from Crayola here.